Thank you for your interest in our Marlin Backpack. Please complete your details on the 'Quick Quote' form and click the Submit Button at the bottom of the page. 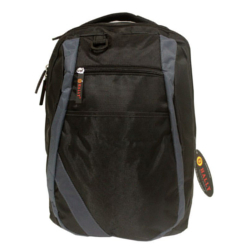 A customer service consultant will contact you about the Marlin Backpack with a quotation. 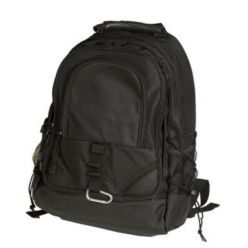 Marlin Backpack is a strong backpack that is rugged in style and unique in shape. This bag comes majorly in black color. 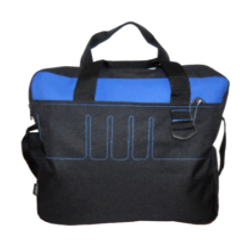 It has a strong padded carry handle that can be used to lift the bag from the top. 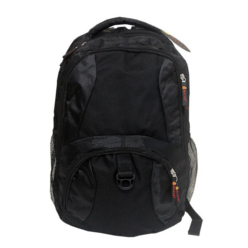 It also comes with side mesh pocket, front zip pocket, convenient slip, a padded shoulder pad that makes carrying the bag convenient and comfortable and finally with a back support. It has a measurement of 46Ã—27Ã—20cm.